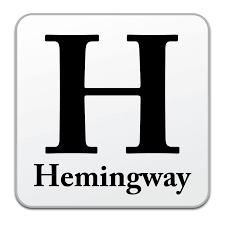 Hemingway App Free online tool. $19.99 for desktop app. An editor that makes your writing bold and clear. Simply paste your text into it. Online audio transcription, video captions and document translation services. Ulysses is a dedicated writing environment for Mac, iPhone and iPad. It offers writing, editing, organizing, synchronisation and exporting through a single, unified interface.